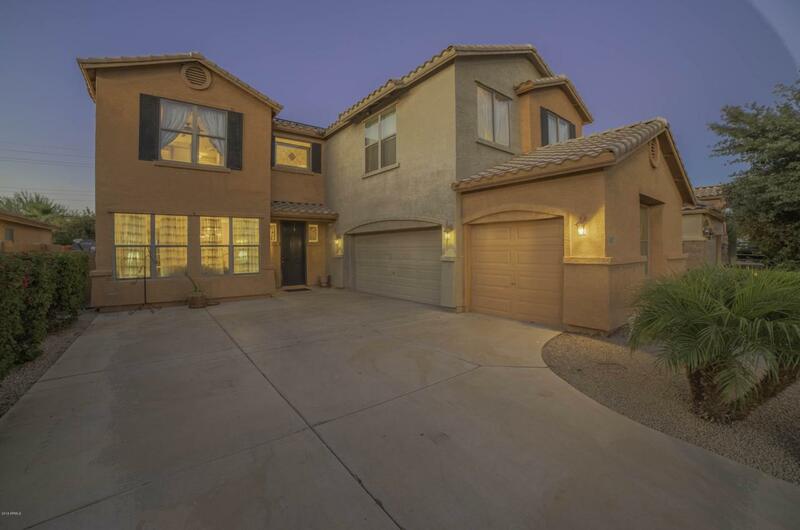 You cannot miss this 5 bedroom, 2.5 bath, 3-Car Garage 2-Story. Kitchen has Custom Black Lacquer Cabinets, Man-Made Granite countertops, mosaic backsplash, Double-Oven. 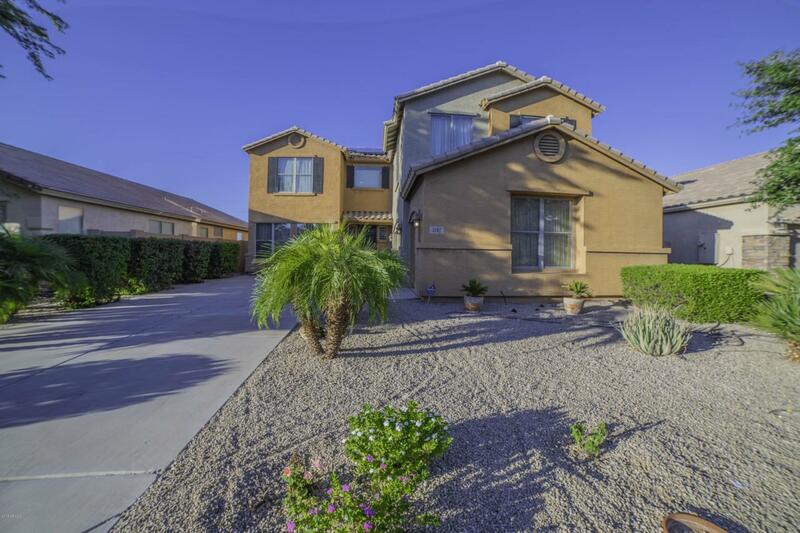 This is one of the best values in all of San Tan Valley if you need a lot of space! 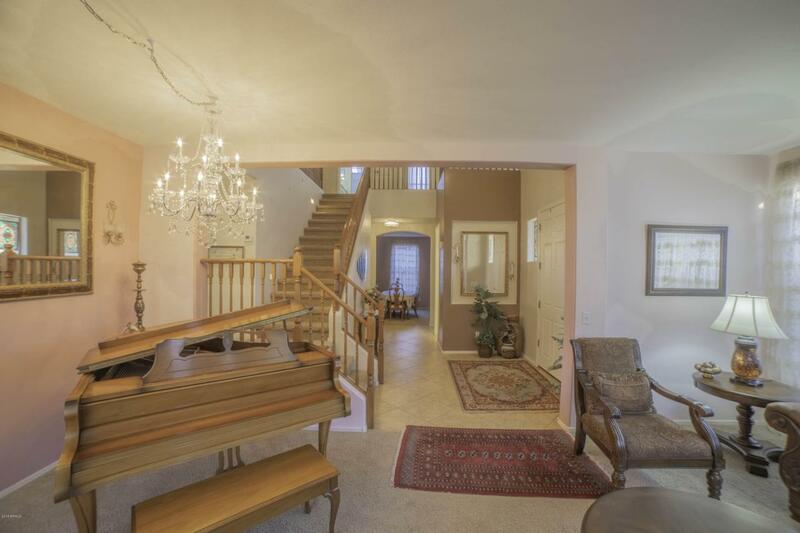 Staircase has access from kitchen and from front room area. Very open floor-plan from kitchen to family room area. 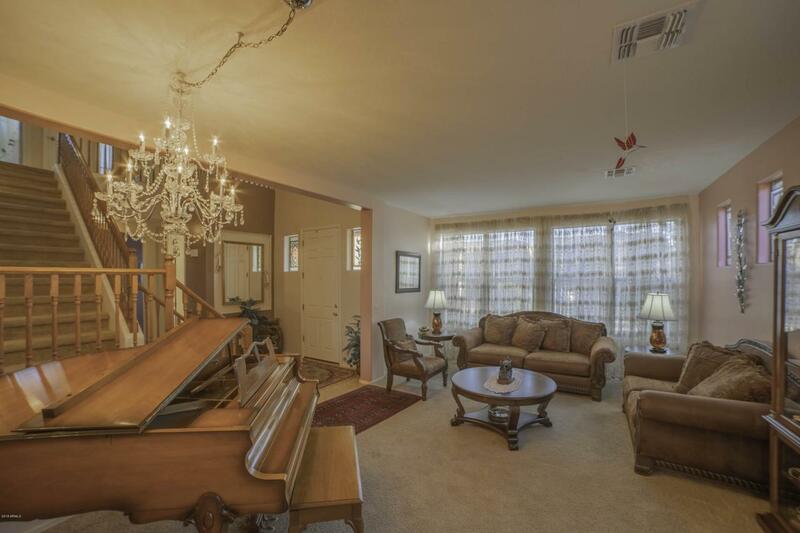 The upstairs area also includes a large loft and spacious bedrooms. The master bathroom has tons of cabinet space, along with a separate tub and shower AND two, yes two, walk in closets. The home also had two brand new AC units that cost over $16,000!